Whenever someone asked me where to get the best Cuban sandwich in Tampa, my mind always went straight to Bodega. The only problem was it techinically wasn't in Tampa, but across the bridge in the beautiful Downtown St. Pete. However to my delight, owner George Sayegh and his wife Debbie unveil a second location in Seminole Heights tomorrow. 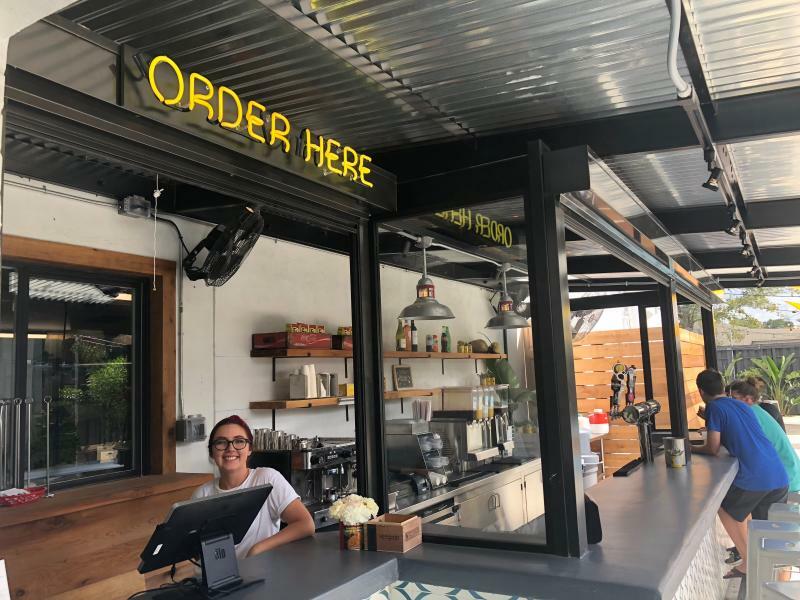 The couple got excited when space opened up in the emerging neighborhood because they felt at home with the similarities to their current location. The Latin American restaurant’s second location is as hip, stylish and unique as its first; black floral murals on white walls with yellow accents, bananas hanging as a backsplash for the bar, with and a yellow neon signs reading “order here” above the register. Attention to detail in the design is everywhere. The new location comes with seating both inside and outside, perfect for the hot summer days with unpredictable rain. 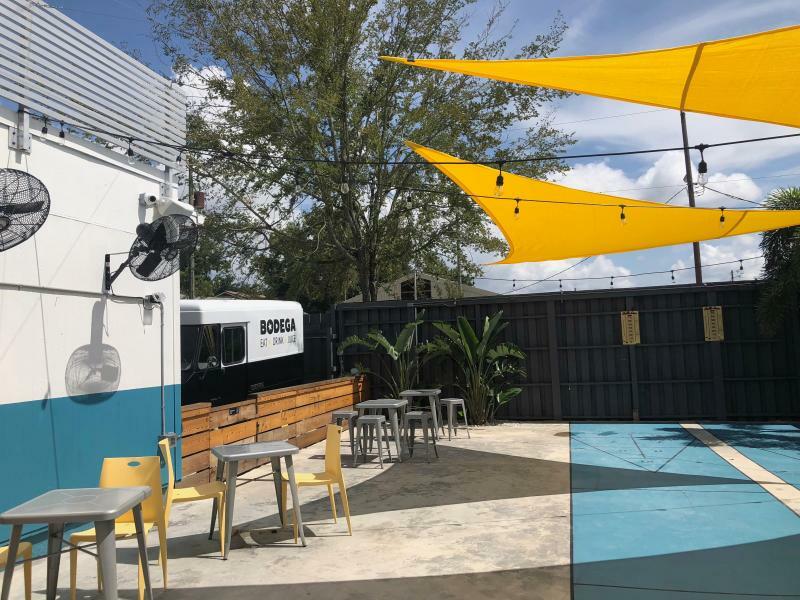 As Tampa's newest hipster-hangout by default, it's bound to be the newest hotspot spot for the Insta-famous of The Heights. But it doesn’t stop at appearances. Their Latin American food literally blows my mind. 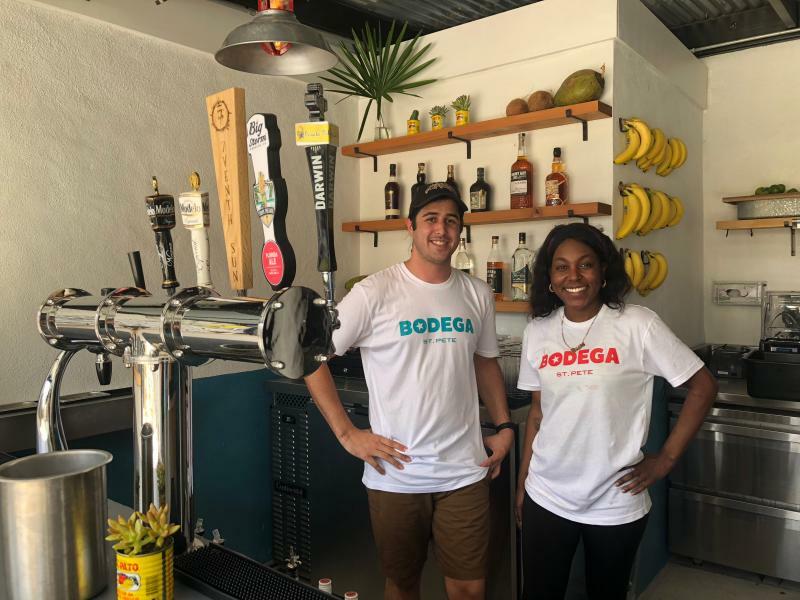 When I first stumbled upon Bodega I ordered the Frita, a Cuban-style beef and pork burger with spicy mayo, tomato, avocado, and fried potato (fritas) on top. It's one of the most unique burgers I've had, and the taste of the patty alone had me hooked. I’ve been back time and time again and tried almost everything on the menu, but my favorite thing at Bodega remains the Cuban sandwich. It’s the best in Tampa Bay by a mile! Slow-roasted mojo pork layered with ham, Swiss cheese, fresh made-in-house pickles and mayo on pressed Cuban bread. I like to sub the regular mayo with their spicy mayo, and add a side of mustard if you want to make my perfect Cuban. 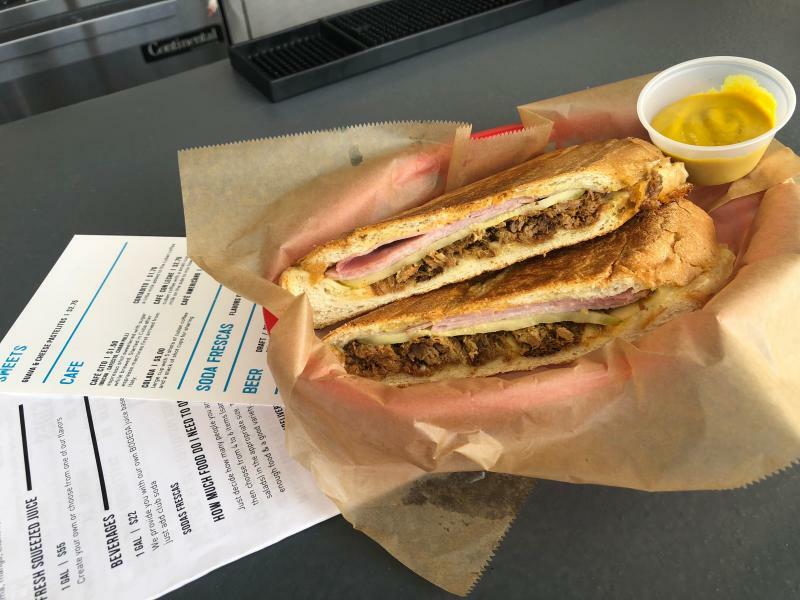 Rumor has it they’re going to be open on Thursday from 11 a.m. - 4 p.m., but the official opening is on Friday so stop in for the best Cuban sandwich anywhere! 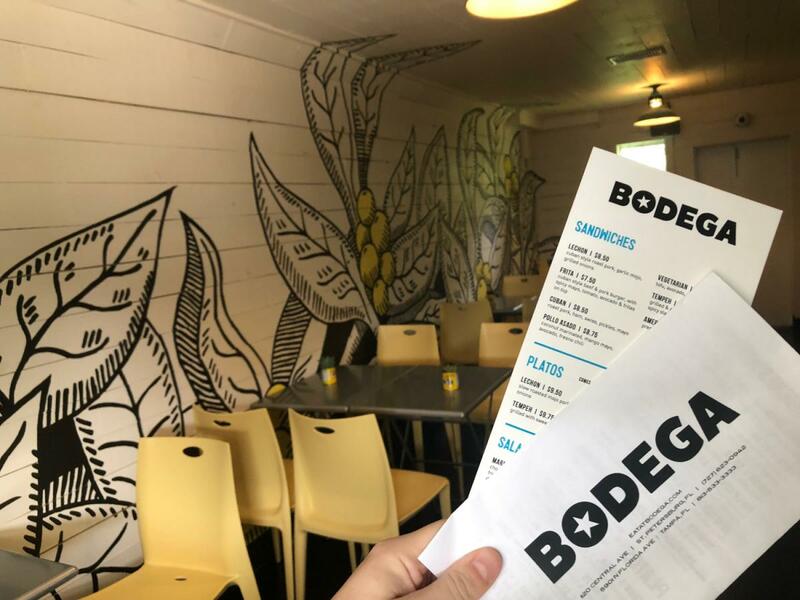 After August 10th, Seminole Heights will have full-service Bodega open 7 days a week for lunch and dinner. For more information on delicious dining in Tampa, head to 813area, a local guide to your favorite city!